Outsourcing is a hidden gem that a lot of small agencies use to scale up quickly and become more profitable. How to find trusted outsourcing partners and which agency tasks you should outsource first to start the outsourcing journey. 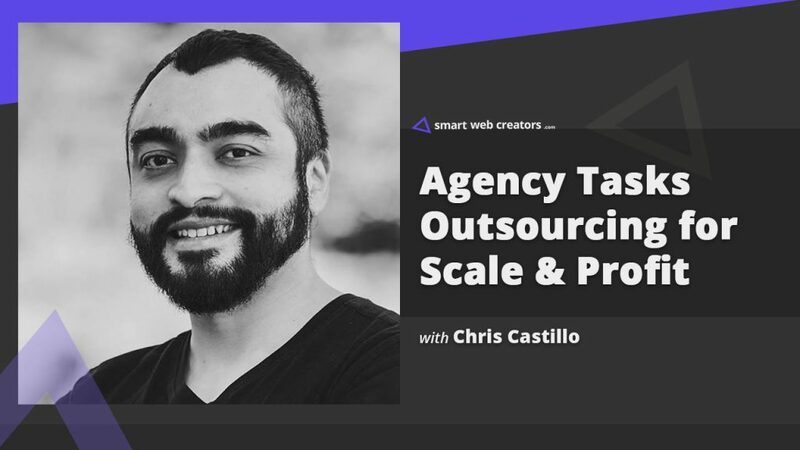 Chris Castillo shares how he has successfully leveraged outsourcing in his agency. Most people who run one or two person agencies have this super control mindset. I will do everything for maximum quality and outsourcing is a big “no”. Have you noticed this or even gone through that personally? The biggest fear in this mindset is losing the customer to the outsourcing partner. I have worked as a white label partner for almost 4 years now and have not come across a single such case. Isn’t this more of a perceived fear as against the reality? Most agency people are busy serving their clients and hardly get time for quality participating in the community of geeks. Most people don’t start outsourcing because they don’t know about quality outsourcing partners. Isn’t this the biggest stumbling block? How did you find people for outsourcing parts of your projects and set the ball rolling? Doing a small test task with the possible future outsourcing partner, isn’t that a better option than directly getting on a big project in the first go? Now we see a lot of business setups dedicated to providing white label service for website care, designs, development. Is using a white label business a better option than using a standalone outsourcing contractor? For example, an agency is doing well with website design and development clients by doing everything with 1 or 2 people in-house. Which first things they can look to outsource to reduce their own workload and possibly have more time to serve more clients in the future? What main things does one need to be careful while outsourcing a specific task in the bigger picture of a website development project? What about the quality control with regard to outsourced tasks of the project? Do you sign a non-disclosure agreement with the outsourcing partner or trust factor is enough in such a setup? How do you price tasks being outsourced? Is it the percentage of final price the end user client is paying or hourly agreement is a better option? Outsourcing is key when people talk about the self-running autopilot business. Like I would hire different people to manage various functions of the business and get out of the real “day to day” working of the business. I see a lot of people emphasis or market this dreamy idea – does this actually work in the practical sense? You have recently started Outsource Services website, what is the backstory behind this? Use ahref and serpbook for providing SEO services. Book like a boss for scheduling & lemlist for email sequence. Use Cloudways web hosting for all client websites. For creating websites use Elementor page builder. As a kid, I created my first website at the age of 12, went on to study computer engineering but stayed away from computers as a career. 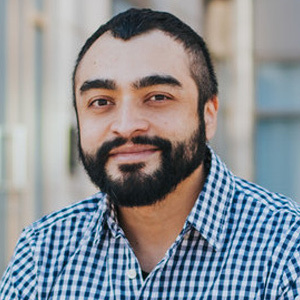 About 2 years ago, I started a digital marketing agency called Propel Digital Media Solutions while working full-time as an engineer for a company that worked with industrial field-portable x-ray fluorescence instruments. I’ve been an active member of online communities like Facebook groups looking for help and guidance and also offering up help whenever I could.